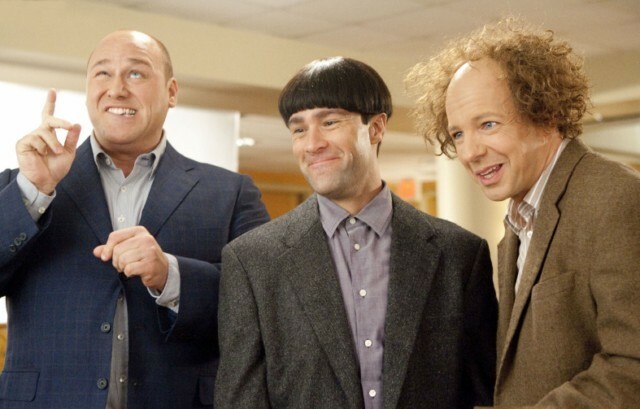 Moe (Chris Diamantopoulos), Larry (Sean Hayes) and Curly (Will Sasso) are all unwanted mischievous orphans. Sticking together as youths and all the while causing trouble, they are the bane of both Sister Mary-Mengele (Larry David) and Mother Superior’s (Jane Lynch) existence. 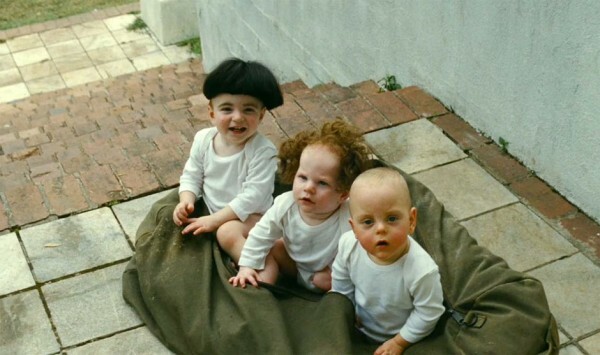 The mischievous inseparable boys soon turn into The Three Stooges. This reborn, classic Hollywood trio, have a talent for mayhem and chaotic destruction. Unwanted as young boys, they now find themselves as men who need to be heroes. To save the orphanage they now work for, they need to venture out into the world and raise almost a million dollars to save their sacred home. Bobby and Peter Farrelly are responsible for a plethora of deplorable American comedies. None of these films have reached any kind of sophistication or cinematic credibility. It is bewildering to even comprehend a studio that would give funds and a green light to these overly stale “creative” siblings. 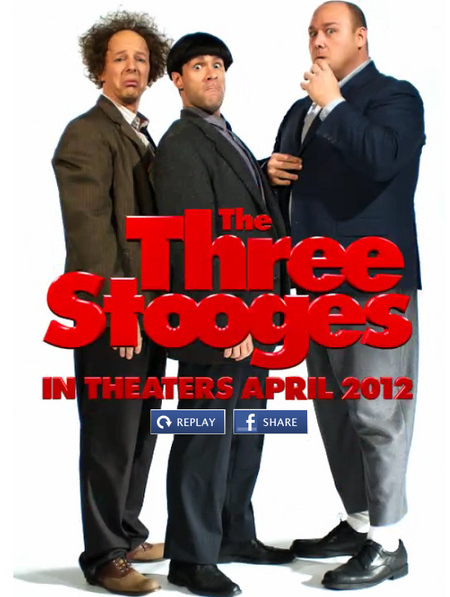 None of their previous work with hair gel, conjoined twins or Jim Carey’s rage blackouts has shown that they can offer a fresh take on the on the vaudevillian classic trio The Three Stooges. With the obvious dollar-making trend of remakes continuing, this film comes with no surprise and much hesitation. It is a disgraceful move from fat cat producers, who somehow have now discovered they can dig deeper into Hollywood history to mine for cash. All the actors in The Three Stooges, while adequate in their roles, come undone the moment the directors try to put them in such obvious modern settings like the set of Jersey Shore. They instantly try to modernise laughs and succumb to crowd pleasing the fifteen year olds. This is a minimising creative technique that shows a move for a wider audience reach, money grabbing and no understanding of its subjects. The supporting cast is dull and forgettable. Why Craig Bierko is still in films is unclear. Sofia Vergara is a horror to watch in any medium. She is crass, untalented and a shinning beacon of what’s wrong in Hollywood. Comic timing is being lost in feature films and on television. It is plastic, inadaptable actors like Vergara that are taking roles better suited to non-silicon fueled actors who can deliver a line with nuance and style. Lynch’s talent is not used at all and who exactly is Kate Upton? The only laughs from the supporting cast come from Larry David. In vaudevillian times it was not uncommon for men to play women. Having David play Sister Mary-Mengele hidden by his nun attire remains funny and very offbeat. A film such as this needs more nods to its past roots like this, while still being filmed with a fresh touch. Placing the who’s who of bad television into the mix is not clever or respectful to the legacy. There are some great set pieces in the film involved with slapstick comedy and old-fashioned site gags. They are typical, painful, and just what you would expect. This remains accurate to what has come before and will warm the hearts of some fans and small children. It’s the spaces in between where The Three Stooges falls down and not in a funny way. Fans should be aware of these moments before watching. For those who haven’t indulged in Larry, Curly and Moe’s antics before this are warned to stay well away. Or you may just end up poking your own eyes out. Stooges style.